A move can be a scary moment, especially if it’s in a new area or unfamiliar city. To stack the deck in your favor, you want to have every bit of knowledge possible to help you make important decisions, but it can be tough to juggle that with all the other responsibilities that come with moving. Sometimes, picking a city with many options can help alleviate this stress. If you’re looking for an option, Chicago may just be the place. With 78 neighborhoods and a great public transit system, Chicago offers something for everyone, and makes it easy to access. What Should I Know About Moving? A lot of making a move successful is minding your logistics. Don’t wait until the last minute to look into movers. Depending on how much you have to move, you need to make sure that your move has the capacity to handle the job. You also want someone you trust to do it on time as well as keep things from getting damaged. Another important thing to consider is downsizing. Downsizing, in this case, means bringing less to your new home than you have in your current one. Even if you’re not necessarily moving into a smaller place, there’s always going to be things in your house that you don’t need. Be ready to throw things away. This may make a good time to get rid of certain things that were just clutter or that need to be replaced. Consider selling things off if possible as well. There are also smaller logistical pieces to the puzzle. Don’t forget to forward medical records, file a formal change of address, as well as notify other important parties like your bank, brokerage firms, employer, and others. When it comes to budgeting your move, don’t be afraid to add a cushion. Any major move is going to come with some unexpected issues. The more you can save, the less these will affect you, though they’ll likely cause some headaches just the same. Culture: This is a difficult thing to pin down. Oftentimes the only way to determine a “vibe” is to explore a neighborhood yourself. Do you prefer the affluent feel of the North Side, or maybe Wrigleyville’s youthful vibe? Perhaps the hipster neighborhoods like Logan Square are more your style? This may seem like a lighthearted decision, but the local culture is something that you want to match yours if you have permanent plans. This will impact your options for local businesses, entertainment, and most importantly, your neighbors. Recreation: Again, fun is something that is pretty variable, but you don’t want to live somewhere with nothing to do, even if you’re more of a homebody. Perhaps you spend your free time perusing boutique stores, or maybe you want to be close to the exciting events thrown during the summer. The South Loop has become popular due to its easy access to many different types of recreation. 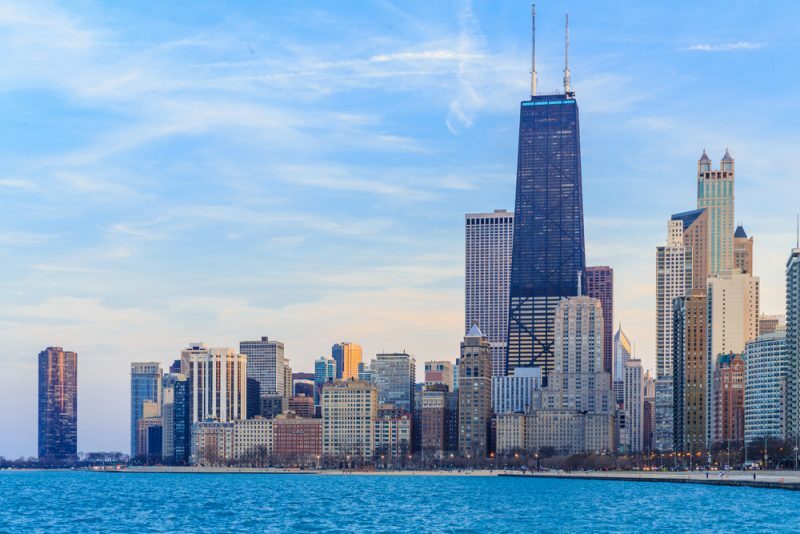 These include the lake, the Museum campus, and Grant Park and its outdoor summer festivals. Family Plans: When it comes to finding a good place in Chicago to bring up a family, schools often are a major factor. A family life is more than just a good school, though it should be at the top of your list. While you are scouting schools, be sure to keep in mind other things that a family will want to have nearby. This means parks, libraries, and kid-friendly attractions. In addition, safety will be a major concern. You may want to look at neighborhoods where there are lots of other families nearby to set off that “vibe” Neighborhoods like Edgewater, Edison Park, and Beverly are favorites. A move is a multifaceted decision, especially when you have as many options to craft a life for yourself as Chicago offers. The best thing you can do for yourself is take a long self-inventory of yourself and your goals. What does a home city mean to you? What are you looking to get out of this stage in your life? Balancing your goals with your finances is the best way to make sure you move to a place you want to live.